On many occasions, I've searched throughout the App Store to find the right app for annotating photos with simple labels. Although I trudged through pages and pages of information, I just couldn't find an app that did exactly what I needed – until today. This is an absurdly easy way to add information to photos and send them away. Featured as one of the Best New Apps in the App Store, it caught my eye because of its slick design; after playing with its intuitive features, its gorgeous design is of the least importance. This's functionality comes in three steps: 1) Select the photo 2) Add labels 3) Share. Eventually, this simplicity becomes second-nature, but the subtasks in those steps deserve an explanation. If any of this becomes confusing or you need to see more examples, head into the tutorial for a guide. 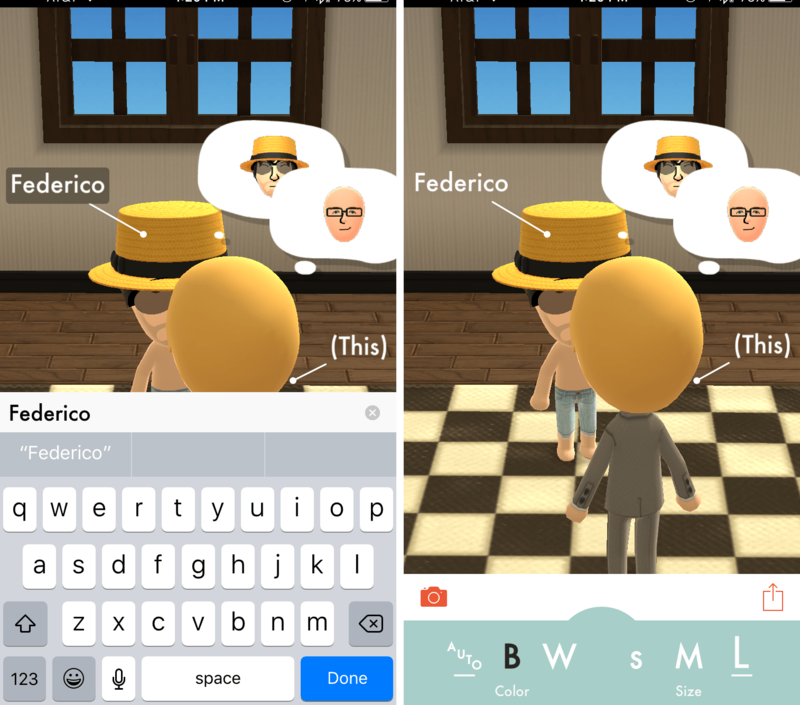 By tapping on the camera icon in the lower left, This will provide options for images to work with. Here is where you'll find the tutorial and examples of pre-existing images and their labels. All of these are editable, so feel free to tinker around to get the hang of the app's capabilities. Photos can be pulled from either the device's photo library, camera, or clipboard. Unfortunately, there's only the option of choosing from the Photos app – I'm hoping to see other document providers be integrated in future versions. Once selected, the image will be displayed for labeling. 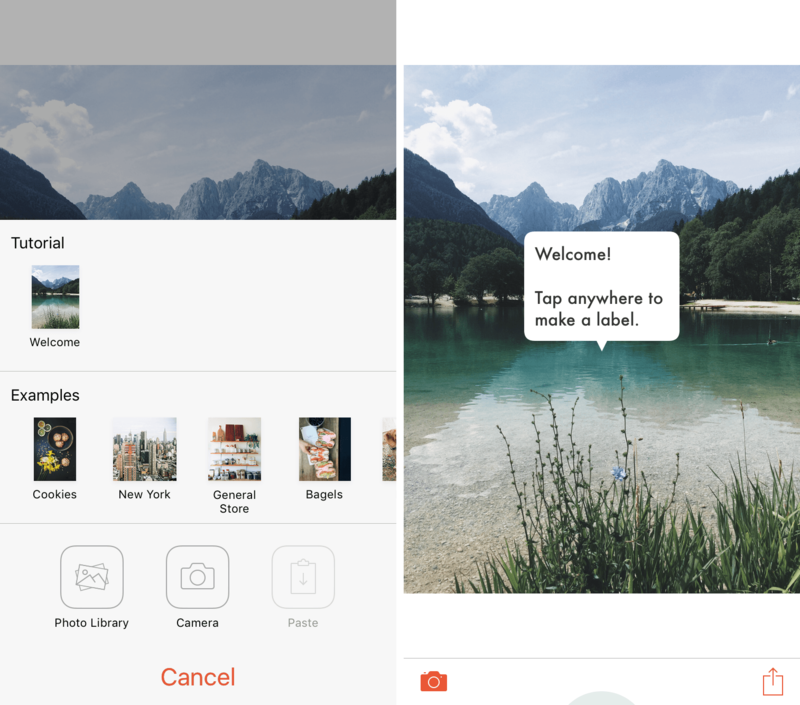 For the part of the photo that you'd like to label, tap on or close to the section and This will automatically provide a label and custom line length. By selecting the (This) label, you can insert the applicable information within the text box. If the text is more than a couple of words, This will push the information down a line. The default arrowhead is a filled-in circle, but This offers the option to alternate between six other choices: arrow, open circle, X, heart, and none. All of these can be used to say different things in context, so they are all great inclusions. In addition to the solid line, there is also a dotted line for referring to a location. To keep your labels readable, This will auto-adjust the color of text between white and black. It's also possible to change the color and size manually by selecting the light green semicircle at the bottom of the screen; you can choose between black and white for the color and extra small, small, medium, and large for the size. If a mistake is made in the placing of a label, dragging either the text or arrowhead will move the respective piece around the photo. To delete a label, hold the text until a red X appears and then release. 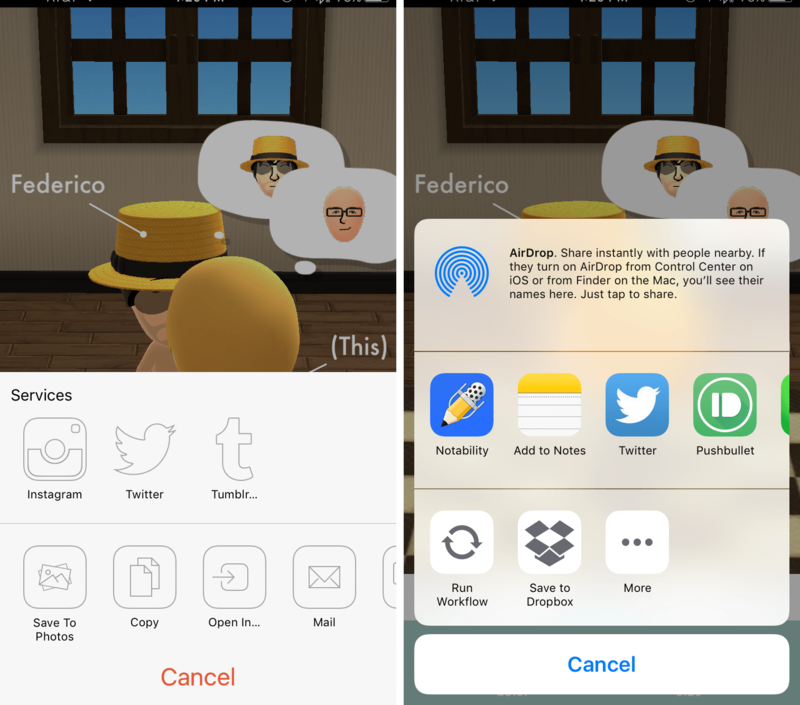 When you've completed your work, tapping the share icon will bring up options to send to Instagram, Twitter, and Tumblr, as well to save to Photos, copy, Open In..., Mail, and print. 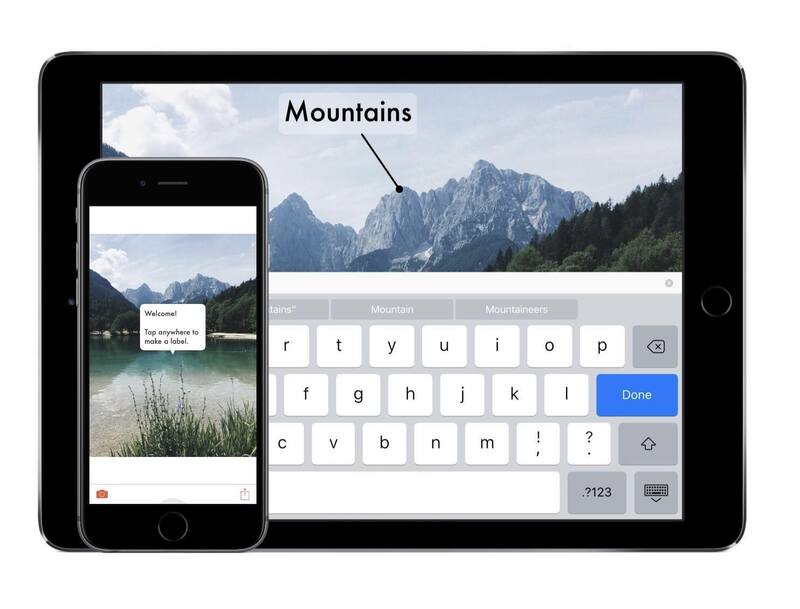 Sharing within This is the biggest sign that the app is in version 1.0; saving to a document provider takes more taps than necessary. The most frustrating part, however, is that there is no saving in-app, meaning that if you don't finish labeling before starting a new project, it will immediately wipe out your work. Along these lines, a lack of native saving also forces the user to save to Photos and reopen within This to continue work on a photo – albeit without the ability to change the labels created in the previous version. When I saw This in the App Store, I was excited to see a supposed solution to my labeling problem. After using it, it has exceeded all my expectations and has given me a quick way to mark a photo and send it off. Remember, though, that This is a 1.0 product and may have bugs or lack desired features. Even so, developer Tinrocket has built a specialized tool that you'll want to have in a pinch. With its continued development, I'm excited to see This be refined and crafted into an all-star app. This can be purchased as a Universal app for $1.99.